Strong absorbent paper wipe with removable core. Ideal for mopping spills, wiping sealant etc. 175mm wide. 150m per roll. Centre Feed 2 Ply Blue Roll (6 Pack) is rated 4.5 out of 5 by 25. Rated 1 out of 5 by KC KC from Poor quality of paper roll I would not buy this again. 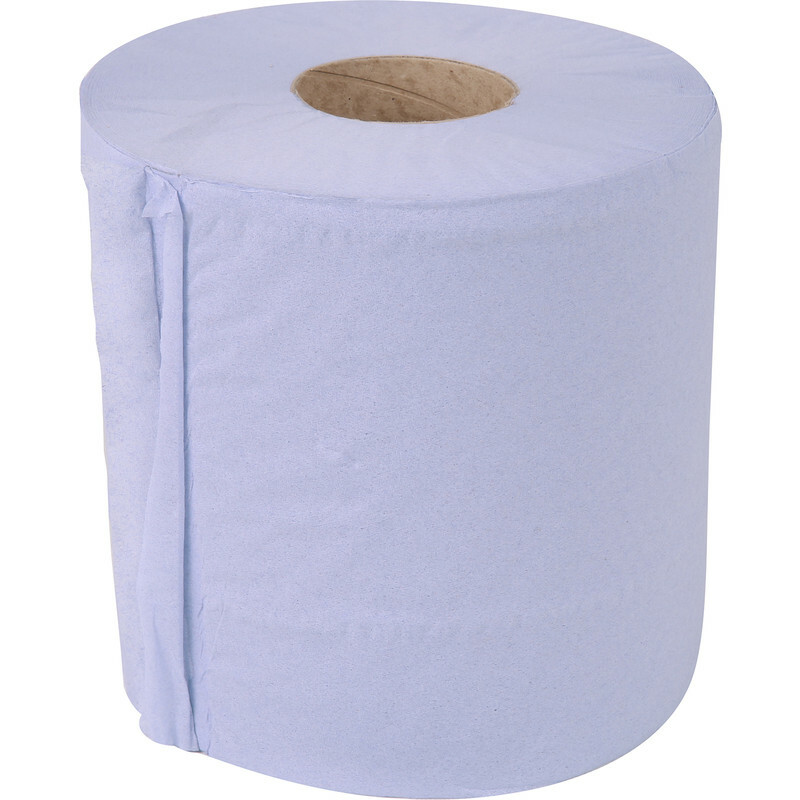 Paper sheets are thin, not as hard wearing or as absorbent in comparison of blue roll purchased from other suppliers. Rated 5 out of 5 by reddobermann from Great absorbant rolls Bought specifically for use in the dispenser. Rolls are slightly smaller (width wise) than our last lot. Nevertheless, still a very good buy. Well pleased. Rated 5 out of 5 by StuK from Simple, effective and cheap This 6 pack of large blue rolls is good value and a staple for any plumber needing to mop up small spills and clean up areas. The paper is strong and quite absorbant, being very useful for a number of cleaning up tasks and would recommend for anyone, not just plumbers! Rated 5 out of 5 by sogs59 from Good product Good quality paper handtowels idea for the workshop and painting/decorating. Strong but with good absorbtion. I've looked at otehr suppliers and these are by far the best value for money and something Toolstation is always good at!